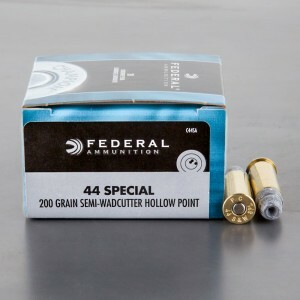 44 special wadcutter ammunition has an extremely distinct appearance. A wadcutter has a completely flat tip, this flat tip gives the bullet a very odd experience. Full wadcutter ammunition is designed exclusively for revolvers, it’s flat front will not feed in a semi automatic. On the other hand, semi-wadcutter ammunition will fit an automatic pistol. 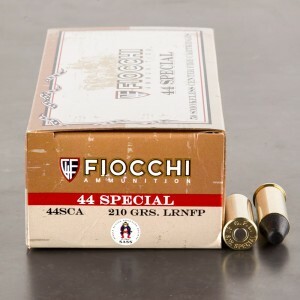 Outstanding 44spl ammo. Shoot a cowboy action load then this. Lots more "bang".